Office 365 is nothing but a brand name that Microsoft uses for a group of software and services subscriptions. The subscriptions together provide productivity software and other related services to those who have subscribed. Consumers who have opted for office 365 are allowed to use the Microsoft Office applications on Windows and MacOS. It also provides storage space on Microsoft’s cloud storage service. The users are also granted 60 Skype minutes per month. For any business organisation office 365 is very useful as it offers service plans that provide email and social networking services. The services are offered via hosted versions of exchange server, skype for business server, SharePoint and office online. There are several features of this program. It consists of a large variety of products and services. One of the benefits is that the components of Office 365 can be both managed and configured through an online portal. The users can be added manually. The cloud is well defined as a metaphor for the Internet. 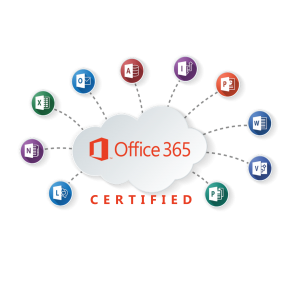 Cloud computing in regards to Office 365 means that the Microsoft Office 365 applications or the software, data, and computing needs of a user are accessed, stored, and occur over the Internet or cloud. Plan and configure an Office 365 collaboration solution that includes Yammer Enterprise, OneDrive for Business and Office 365 groups.